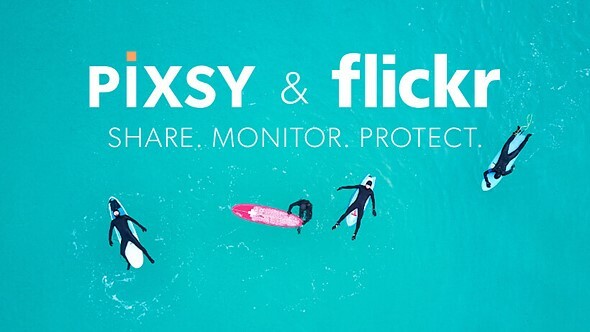 Flickr has announced a new strategic partnership with Pixsy, an online legal-tech service that helps photographers protect and enforce their copyrights. The new partnership allows Flickr Pro users an end-to-end solution to track their images and take legal action in the event a photograph is stolen and used illegally. 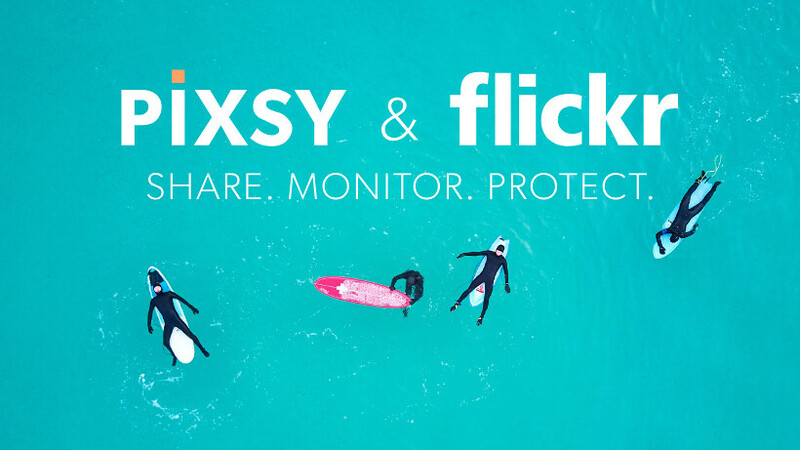 Starting today, Flickr Pro members can integrate their Flickr images with Pixsy's advanced monitoring and protection platform which allows access to 1,000 monitored images, 10 DMCA takedown notices and unlimited case submissions. Pixsy works alongside law firms around the globe on a 'no win, no fee' basis. Pixsy says it's handled more than 70,000 copyright infringement cases to date, resulting in millions of dollars in lost revenue. To get started, head to your account settings page on Flickr, locate Pixsy under the 'Pro Perks' section and select 'Redeem.' From there you'll be directed to Pixsy, where you will link your Flickr and Pixsy accounts. For more information, head on over to Flickr's announcement post. I'm not pro, I'll have to use the Google image search if I want to verify that someone uses any of them .... At first I did not realize and I had a month with download option and a considerable size, beginner error. Now I have them capped and at 1024px on the long side, I feel that well-intentioned people can not expand and enjoy the details. Watermarks are working to some extent but you have to use them all over your images and with 100% opacity. And if you don't want to get robbed never carry any money right? Silly argument. I hope you can understand that there is a clear difference between stealing something physically and that of copying/misusing someones property? I guess he won't mind if we empty his "virtual" bank account as long as we don't steal the pennies from his pocket. Quick check and I found a local company using one of my images. Sent a short e-mail and invoice and someone else will now pay my flickr membership for the next couple of years. More typically you'll find an anonymous blogger using your image in a country whose language you don't speak, the site has no contact information, or else they fail to respond. Not so simples. Sure @sunnyside7. But doesn't that just make the victories in your jurisdiction where you can actually collect money, that much sweeter? And services like Pixsy should make it easier to find the people you can actually collect from. To that I say, congratulations Slatts-from-Oz! May we all be able to turn image pirates into a revenue stream. Every victory is sweet. That doesn't make it a reliable income stream sadly. my own company used one of my images and Pixsy got them to stop using it, and they paid me a fee. The standard Pixsy trial already includes 500 free images so you're not missing out on much. It's designed to index sites like Flickr and Photoshelter automatically. SmugMug may be designed differently. Actually Pixsy's automated import options do include SmugMug. Pixsy is great, but... 1K images is nothing. In my experience their lawyers will only accept lucrative cases which are easy to win and within a limited number of countries. 10 DMCA takedowns is nice but will only be respected by legitimate website operators. Indeed. I have recently had 2 cases (one a newspaper and the other a video company) that ignored all contact from Pixsy. They basically gave up saying it wasn't worth following up ... these were 2 UK companies. The image on the newspaper site is still there to this day. Worth invoicing them yourself then I suggest. Most respectable organisations will pay. This is great. I actually like copyright infringers. I've received big payouts from people and publications who could of easily asked permission and license a photo with liberal usage for $50-100 USD, but instead get slapped with a $6000 USD invoice! It's actually cheaper just to pay upfront! It's easy to "slap people" with an invoice. It's less easy to get paid. How much of the $6K did you recover and for what? I've recovered several thousand US dollars in copyright infringement. It's also for the most mundane image that they could of just easily emailed/called me and I would of licensed the photo out to them for a reasonable price. There are services out there that do this for various photo/stock agencies, so it's nothing new. It would be highly unusual to recover thousands of dollars for a single copyright infringement. Can you give an example? More usually you can only expect to recover a lost licence fee. It depends on who's doing the infringing. If it's a big website/publication/company with a large revenue stream and they're based in a country with strong copyright laws, it's quite easy going after those individuals/companies. It also depends on the usage, exclusivity and the potential of lost revenue due to the theft that gets calculated into the fee. Those are a tiny minority of cases in my experience. The types of companies you describe would be unlikely to steal images. @sunnyside7 - Not sure why you keep downplaying my own positive experiences with copyright protection services for photographers. Like I said, a simple email or phone call would of sufficed to purchase the use of an image and for a modest to small fee. Also there are countless testimonies that you can read about if you do a search, where image theft has occurred by medium and large sized corporate entities. I see this type of service as something positive for all photographers. I did ask you to provide examples of cases where you've recovered thousands of dollars from single copyright infringements. You haven't, but please do. I'm sure we can all learn from your successful experiences. Fortunately Flickr was bought by Smugmug, which does not have a reputation for wheeling and dealing a la venture capitalists. They have a reputation for continuing to build out their privately owned, family business. Okay, but could we be honest, all photographers publishing photos on the net dream of seeing their images stolen, because "court DOLLARS", better than winning at bingo at Las Vegas. Even more so, it's probably easier for many to wait for a stolen image settlement than to actually do the leg work to sell. Is this the artistic equivalent of 'entrapment'? There is no question the internet broke current copyright laws. It will be interesting to see how they get rewritten over the coming years to accommodate the digital age. Well, if we're being honest; if you change "all" to 1 out of 200 photographers dream of this, you'd be more accurate. If you're talking about *pro* photographers, then the percentage would be much higher, of course. But for the average photographer...no, they don't think an iota about jackpot damages if someone steals their online pix. They don't think at all about people stealing their images. I've asked about 50 people (all normal people posting their photos to Facebook, etc) about this, and all I have received is blank looks. "If someone wants to take my photo, it's sort of a compliment. Who cares . . . no harm done to me." As I said; people who make at least part of their living from selling their photos have a VERY different take on this. I've had my images stolen many times, and since it's always been from businesses in other countries, I didn't even bother to do more than send a "please stop doing this" email to them. @tailings - How is it entrapment? Users are given the option to choose permission type during upload. Once uploaded, photos are clearly labelled on Flickr if the image is copyrighted, creative commons or public domain work. Also a simple email is suffice to contact said photographer if someone wants to purchase a photo. It's not, (or at least I doubt it would hold up as such in any court of law). A 'Recover Money' button; how quaint. I'm guessing their's a disclaimer that effectively says 'results may vary' when using the button. I'll just stick to a good old watermark on my image when I export them. You've never had anyone remove your watermark? A watermark may reduce the possibility of images becoming 'orphaned' but will not guarantee against deliberate copyright theft. Its on the internet, if someone wants it they find a way to use it and modify it. So why bother with your watermark if that's your attitude? Your bank account is also "on the internet". Why not, its free advertising. Well good luck getting into my bank account, if you do all the power to you. Few serious photographers believe that image theft is good advertising. It simply encourages further unauthorised, unpaid use. If you want to give your images away for free then specify the appropriate Creative Commons licence and watch as other people profit from them instead.